I'm trusting we're going to remove the question mark soon. Broken link and no resource from Google search. Still embargoed or retracted paper? Probably still embargoed. The ESO press conference is slated to begin soon, so the details are surely forthcoming. Here we are finally! The closest low-mass exoplanet ever. This looks a lot more convincing than the Alf Cen Bb planet did, especially since it shows up in both the UVES+HARPS and HARPS-PRD datasets independently. The fact that the simultaneous photometry doesn't reveal any similar periodicities is even better. I couldn't imagine (too much)a better discovery for Proxima Centauri. You're not going to get a habitable planet that isn't tidally locked around this m class star. "...The best way to do that would be to directly image the planet using the giant telescopes equipped with extreme adaptive optics that are currently being built (i.e., the E-ELT, TMT, GMT). The angular separation between the star and the planet is 39 milli-arcsec, so a telescope as large as 30 m could resolve the system with the right instrument, detecting the planet and possibly giving us insights into its composition..."
So umm, when's the next time Proxima performs a gravity lens event on a background star? Might we be able to detect Proxima b from it? Proxima b was added to the Habitable Exoplanets Catalog (HEC)  as one of the best objects of interest for the search for life in the universe. The planet orbits well within the conservative habitable zone of Proxima Centauri. Additionally, Proxima b is now not only the closest potentially habitable planet to Earth (4.2 light years away), but it is also the most similar to Earth (ESI = 0.87) , with respect to Earth’s mass and insolation. We present a study of 4 different formation scenarios that may explain the origin of the recently announced planet `Proxima b' orbiting the star Proxima Centauri. The aim is to examine how the formation scenarios differ in their predictions for the multiplicity of the Proxima planetary system, the water/volatile content of Proxima b and its eccentricity, so that these can be tested by future observations. A scenario of in situ formation via giant impacts from a locally enhanced disc of planetary embryos and planetesimals, predicts that Proxima b will be a member of a multiplanet system with a measurably finite value of orbital eccentricity. Assuming that the local solid enhancement needed to form a Proxima b analogue with a minimum mass of 1.3 Earth masses arises because of the inwards drift of solids in the form of small planetesimals/boulders, this scenario also likely results in Proxima b analogues that are moderately endowed with water/volatiles, arising from the dynamical diffusion of icy planetesimals from beyond the snowline during planetary assembly. A scenario in which multiple embryos form, migrate and mutually collide within a gaseous protoplanetary disc also results in Proxima b being a member of a multiple system, but where its members are Ocean planets due to accretion occurring mainly outside of the snowline, possibly within mean motion resonances. A scenario in which a single accreting embryo forms at large distance from the star, and migrates inwards while accreting either planetesimals/pebbles results in Proxima b being an isolated Ocean planet on a circular orbit. A scenario in which Proxima b formed via pebble accretion interior to the snowline produces a dry planet on a circular orbit. Future observations that characterise the physical/orbital properties of Proxima b, and the multiplicity of the system, will provide valuable insight into its formation history. We analyze the evolution of the potentially habitable planet Proxima Centauri b to identify environmental factors that affect its long-term habitability. We consider physical processes acting on size scales ranging between the galactic scale, the scale of the stellar system, and the scale of the planet's core. We find that there is a significant probability that Proxima Centauri has had encounters with its companion stars, Alpha Centauri A and B, that are close enough to destabilize Proxima Centauri's planetary system. If the system has an additional planet, as suggested by the discovery data, then it may perturb planet b's eccentricity and inclination, possibly driving those parameters to non-zero values, even in the presence of strong tidal damping. We also model the internal evolution of the planet, evaluating the roles of different radiogenic abundances and tidal heating and find that a planet with chondritic abundance may not generate a magnetic field, but all other models do maintain a magnetic field. We find that if planet b formed in situ, then it experienced ~160 million years in a runaway greenhouse as the star contracted during its formation. This early phase may have permanently desiccated the planet and/or produced a large abiotic oxygen atmosphere. On the other hand, if Proxima Centauri b formed with a thin hydrogen atmosphere (<1% of the planet's mass), then this envelope could have shielded the water long enough for it to be retained before being blown off itself. Through modeling a wide range of Proxima b's evolutionary processes we identify pathways for planet b to be habitable and conclude that water retention is the biggest obstacle for planet b's habitability. These results are all obtained with a new software package called VPLANET. We present a study of white light flares from the active M5.5 dwarf Proxima Centauri using the Canadian microsatellite MOST. Using 37.6 days of monitoring data from 2014 and 2015, we have detected 66 individual flare events, the largest number of white light flares observed to date on Proxima Cen. Flare energies in our sample range from 1029-1031.5 erg, with complex, multi-peaked structure found in 22% of these events. The flare rate is lower than that of other classic flare stars of similar spectral type, such as UV Ceti, which may indicate Proxima Cen had a higher flare rate in its youth. Proxima Cen does have an unusually high flare rate given the slow reported rotation period, however. Extending the observed power-law occurrence distribution down to 1028 erg, we show that flares with flux amplitudes of 0.5% occur 63 times per day, while superflares with energies of 1033 erg occur ~8 times per year. Small flares may therefore pose a great difficulty in searches for transits from the recently announced 1.27 M_earth Proxima b, while frequent large flares could have significant impact on the stellar atmosphere. Overall, the picture appears to be that modern climatic habitability remains possible even for spin synchronisation. The major unknowns are the compositional habitability, in particular the water abundance, and the environmental habitability, mostly concerning the high-energy photon flux plus the flare rate and how they interact with the planetary atmosphere. It is therefore crucial to determine the atmospheric composition, but it will take perhaps a decade or two until technology reaches the appropriate level to resolve the planet. The discovery paper mentions a signal of unclear nature at P = ~200 d. This does not correspond to the rotational period or particularly well with the ~400 d magnetic cycle, so it could potentially be planetary; this is partially considered by Barnes et al. Still, the time coverage of this signal is probably uneven, and there are other false positive scenarios to consider, so caution is warranted. Proxima Centauri b, an Earth-size planet in the habitable zone of our nearest stellar neighbour, has just been discovered. A theoretical framework of synchronously rotating planets, in which the risk of a runaway greenhouse on the sunlight side and atmospheric collapse on the reverse side are mutually ameliorated via heat transport is discussed. This is developed via simple (tutorial) models of the climate. These show that lower incident stellar flux means that less heat transport, so less atmospheric mass, is required. The incident stellar flux at Proxima Centauri b is indeed low, which may help enhance habitability if it has suffered some atmospheric loss or began with a low volatile inventory. 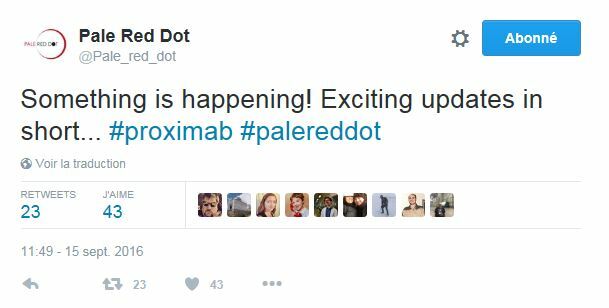 I think Proxima b has captivated the climatologists even more than the astrophysicists! If the data holds , it looks like an awfully dense object. If that is so , we could not rule out a big metallic core and thus , a powerful magnetic field to shelter a viable atmosphere and or hydrosphere. Even if that where not the case , we cannot rule out life just because there are lots of charged particles and heavy radiation. Life , to evolve may need some quiet place , like the dark-twirling zone just in the umbra of the proxima-facing surface, but needs only space , building materials , a solvent and energy sources. Periodicity of some sort is strongly desirable for evolution , but not really a must. That being said , i would be really shocked to find life there , but there is really nothing to prevent it. The flares not only aren't necessarily lethal , they may even be needed for the kind of life there may thrive. We know neither the planet's radius or it's true mass. The density is unknown. 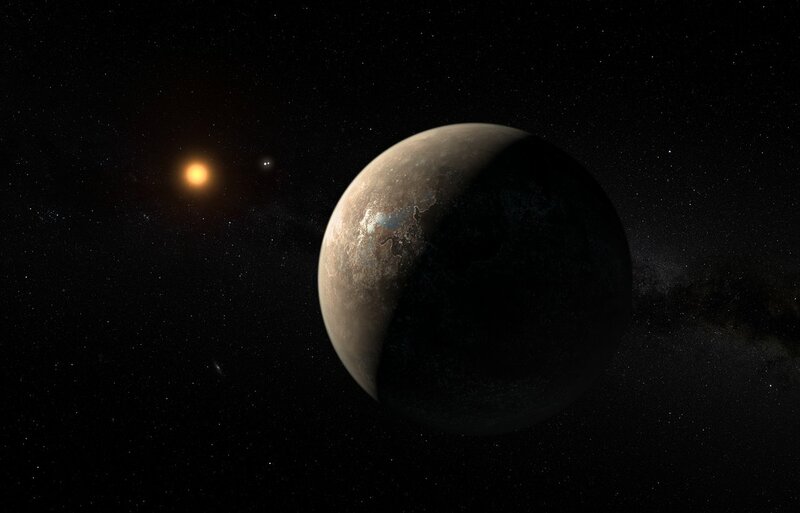 The recent discovery of a planet around the closest star, Proxima Centauri, could represent a quantum leap on the testability of models in exoplanet sciences. Unlike any other discovered exoplanet, models of planetary processes in Proxima b could be contrasted against near future telescopic observations and far future in-situ measurements. In this paper we study the geomagnetic properties of Proxima b analogues, namely, solid planets with masses close but larger than Earth's mass, periods of rotation of several days and habitable surface conditions. Assuming different planetary masses, bulk compositions and periods of rotations, we calculate for each planetary analogue its radius, heat flux, time of inner core formation, dynamo lifetime and minimum dipole magnetic moment. We find that most (≳70%) Proxima b analogues develop intrinsic dynamos that last at least 3 Gyr, although only half of them are older than the present age of the host star (4 − 6 Gyr). Relying in our planetary evolution models, we predict with a 70% confidence level that Proxima b will be an earth-like planet with mass and radius 1.3 < Mp< 2.3 M⊕, Rp=1.4+0.3−0.2R⊕, having today an intrinsic dynamo with a dipole moment Mdip = 0.32×2.3÷2.9 Mdip,⊕. Our results rely on the assumptions of flat priors in the input parameters, small orbital eccentricity, negligible tidal heating and earth-like radiogenic mantle elements abundances. The same results obtained for this set of planetary analogues, apply to other earth-like planets having similar observed properties than Proxima b (minimum mass, orbital period and stellar mass). In the general sense there are decent odds that the planet still has a significant magnetic field, despite slow rotation. I am not aware of any direct methods to observe a exoplanetary magnetic field, but presumably there would be significant atmospheric differences between a magnetised and unmagnetised Proxima b, so good determination of the atmospheric composition should be sufficient to constrain the magnetic field. Context. The temperate Earth-mass planet Proxima b is the closest exoplanet to Earth and represents what may be our best ever opportunity to search for life outside the Solar System. Aims. We aim at directly detecting Proxima b and characterizing its atmosphere by spatially resolving the planet and obtaining high-resolution reflected-light spectra. Methods. We propose to develop a coupling interface between the SPHERE high-contrast imager and the new ESPRESSO spectrograph, both installed at ESO VLT. The angular separation of 37 mas between Proxima b and its host star requires the use of visible wavelengths to spatially resolve the planet on a 8.2-m telescope. At an estimated planet-to-star contrast of ~10^-7 in reflected light, Proxima b is extremely challenging to detect with SPHERE alone. The use of the high-contrast/high-resolution technique can overcome present limitations by combining a ~10^3-10^4 contrast enhancement from SPHERE to a ~10^4 gain from ESPRESSO. Results. We find that significant but realistic upgrades to SPHERE and ESPRESSO would enable a 5-sigma detection of the planet and yield a measurement of its true mass and albedo in 20-40 nights of telescope time, assuming an Earth-like atmospheric composition. Moreover, it will be possible to probe the O2 bands at 627, 686 and 760 nm, the water vapour band at 717 nm, and the methane band at 715 nm. In particular, a 3.6-sigma detection of O2 could be made in about 60 nights of telescope time. Those would need to be spread over 3 years considering optimal observability conditions for the planet. Conclusions. The very existence of Proxima b and the SPHERE-ESPRESSO synergy represent a unique opportunity to detect biosignatures on an exoplanet in the near future. It is also a crucial pathfinder experiment for the development of Extremely Large Telescopes and their instruments (abridged). Finally we note that, besides Proxima b, a number of exoplanets of various kinds could be probed with SPHERE+ESPRESSO. As can be seen in Fig. 1, the gas giant GJ 876 b and the two Neptunes GJ 687 b and HD 219134 d are favourable targets in terms of angular separation and flux ratio. "a major facility" : Hubble ? Non-detection, but can't be sure it doesn't transit.